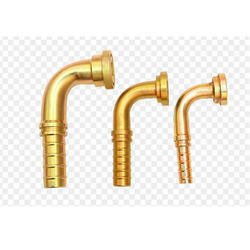 We are engaged in offering wide range of Industrial Fittings. These fittings are dimensionally precise and possess the feature of high functionality at the application area. Owing to our vast experience and rich knowledge of this domain, we have been able to offer Adapters Fittings to our valuable customers. Their high tensile strength, flawless design, steady performance and high resistance to corrosion make these fittings highly demanded. Offered fittings are available with us at highly affordable prices. Materials used for Adapters and fitting consist of: Carbon Steel, Mild Steel, Stainless Steel SS304 AND SS316, Brass and Aluminium. The Forged Adapters are available in the following Type: 304, 304L, 304,316, 316L, ETC. Some of the raw material used during fabrication of our range is Carbon Steel: ASTM A 106, A 53, API A 5L Gr A, B, C.
Owing to our vast experience and rich knowledge of this domain, we have been able to offer Stainless Steel One Piece Hose Fittings to our valuable customers. Their high tensile strength, flawless design, steady performance and high resistance to corrosion make these fittings highly demanded. Offered fittings are available with us at highly affordable prices. 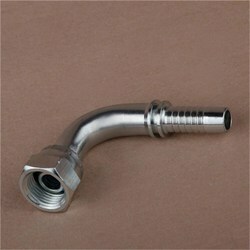 We offer a broad range of high quality Bend Fittings to our valuable customers. These fittings are precisely designed from finest quality stainless steel, which is procured from well-known vendors. With our well-connected distribution network, we deliver these fittings within the promised time frame at the customers end. 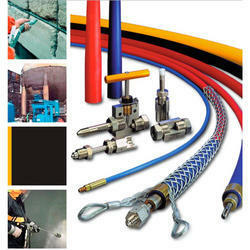 We are one of the one of the leading manufacturers, distributors and exporters offering optimum quality Industrial Hose. 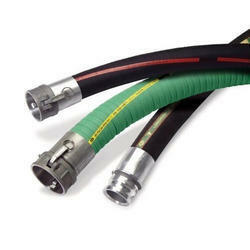 The offered hoses are precisely designed from best quality raw materials, which are procured from trusted vendors. Owing to their excellent performance and impeccable design, these hoses are highly demanded in various industrial applications. Owing to our vast experience and rich knowledge of this domain, we have been able to offer optimum quality Hose Fittings to our valuable customers. 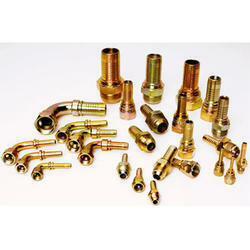 These fittings find wide application in various kinds of material handling, heavy machinery and earth-moving equipment. Offered fittings are available with us at highly affordable prices. 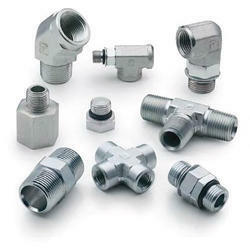 We offer a wide range of optimum quality Interlock Fittings to our valuable customers. Owing to their optimum performance and impeccable design, these fittings are highly demanded for various industrial applications. Offered fittings are delivered within the promised time frame at the customers’ end owing our wide distribution network. 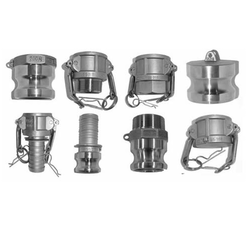 Stainless steel Camlocks coupling has a wide application in food or sanitary environments & highly corrosive applications. It effectively prevents contamination of product to be transported. Our stainless steel camlocks are manufactured by SS 316 which will keep lustrous appearance even it has experienced long usage. We provide Hoses for Ongc Platform to our client. All the processing facilities i.e. fuel gas system, separation, produced water treatment, gas compression and dehydration, gas sweetening etc is installed on this platform. In addition there are testing facilities for testing of production coming from individual platforms. 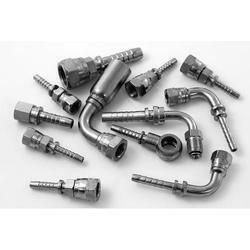 Looking for Industrial Fittings ?